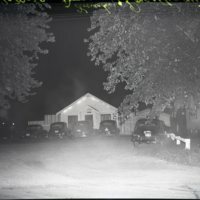 Photograph of the front to Frenchie and Don's Club, photo taken 7/30/1950. 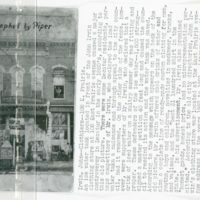 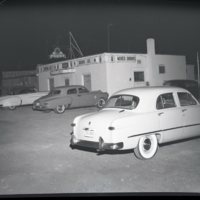 Photograph of the Brown Jug Restaurant with 1950's cars parked by building. 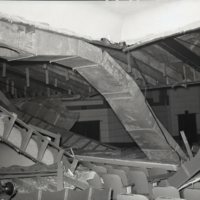 Photographs of the Avon Theatre when the ceiling collapse, May 1, 1950. 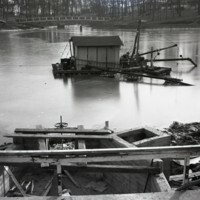 Negative of the lake at the South Side Country Club being dredged on February 8, 1950. 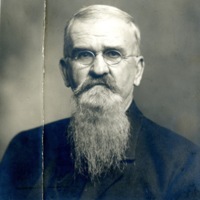 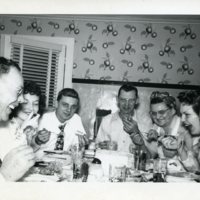 Mr. and Mrs. William Besalke with Bobbie. 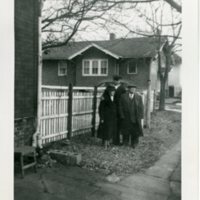 Photograph of Mr. and Mrs. William Besalke with Bobbie in the yard. 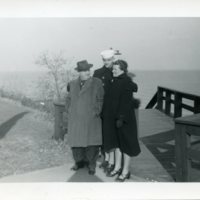 Photograph of Carl, Bobbie, and Mina standing on the shore of Lake Michigan at the Great Lakes Naval Base on Nov. 12, 1950. 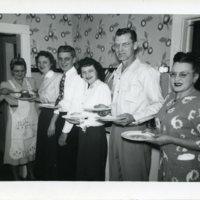 Photograph of the Besalke family lining up for dinner in the kitchen at Maxwell Place. 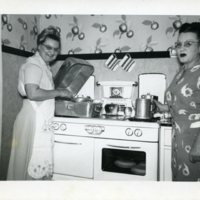 Photograph of Lucille Besalke and Marie Maxwell cooking in the kitchen at Maxwell Place.